Arrive at your chosen UK airport and check in at least 3 hours prior to the departure of your flight to Las Vegas. On arrival in Las Vegas you will be transferred to the Excalibur Hotel for a 5 night stay on a room only basis. 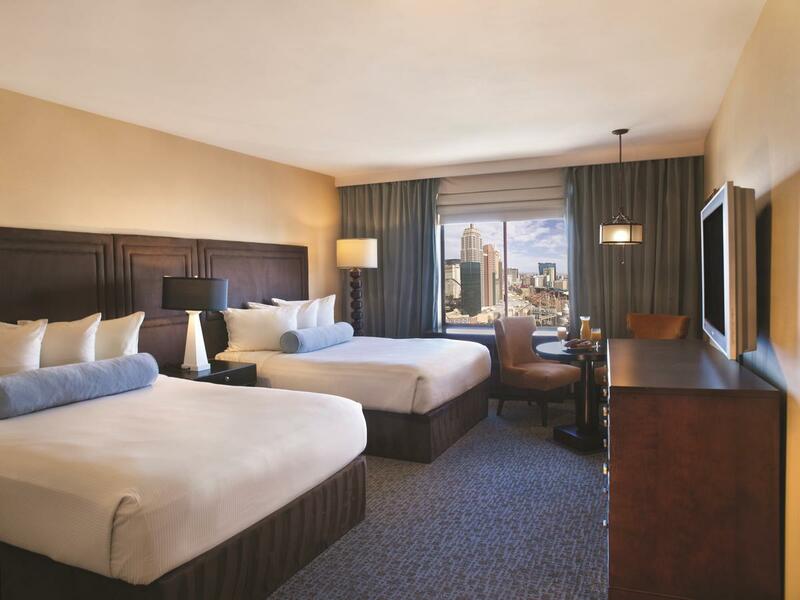 The rest of the night is at leisure to enjoy the vibrant nightlife in Las Vegas. Day at leisure to explore Las Vegas or make your millions in the casino. Make your own way to the Sam Boyd Stadium for day 1 of The USA Sevens. At the end of the day make your own way back to your hotel. Evening at leisure. Make your own way to the Sam Boyd Stadium for day 2 of The USA Sevens. At the end of the day make your own way back to your hotel. Evening at leisure. Make your own way to the Sam Boyd Stadium for day 3 of The USA Sevens. At the end of the day make your own way back to your hotel. Evening at leisure. Check out of your hotel and transfer to the airport for your return flight to the UK. 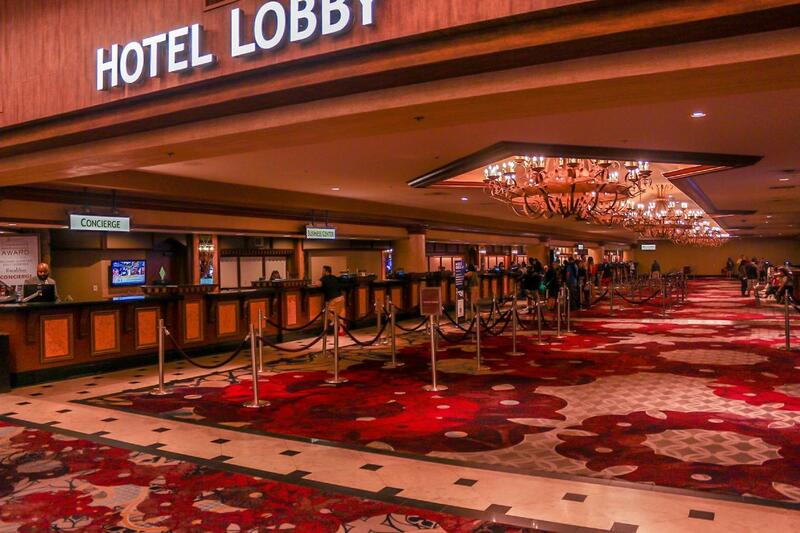 WiFi (included with the resort fee) is provided throughout rooms at Excalibur. Every room has a cable TV, a large bathroom with a hair dryer. The Las Vegas Excalibur provides a large business center and a tour desk. 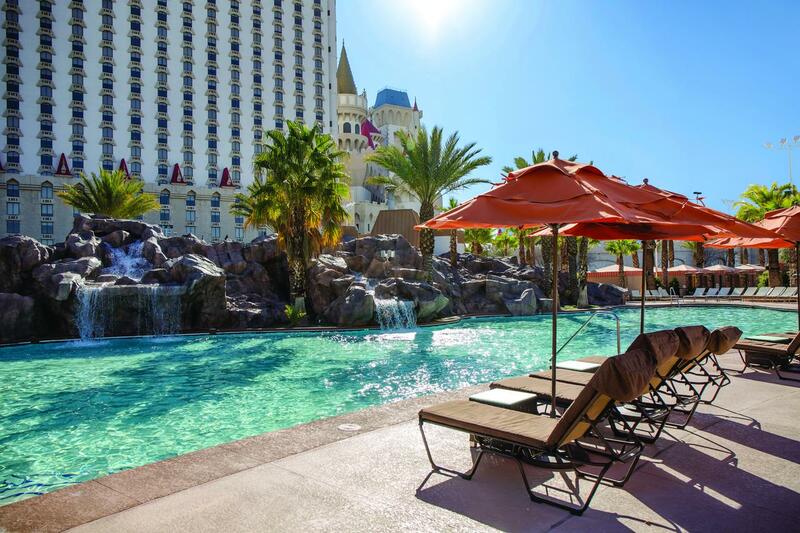 Guests can browse the numerous on-site shops and enjoy a variety of musical and theater entertainment acts, including “Tournament of Kings.” The Excalibur Spa offers a variety of treatments, including massages, facials, and other body treatments. There are 4 outdoor pools featuring a water slide, poolside cabanas, and an Adult Only Pool. A large gym with modern equipment is also available. Interstate 15 is 1.6 km from the resort offering easy access to area attractions. McCarran International Airport is 4.5 km away and the University of Nevada-Las Vegas is 4 km from the hotel.